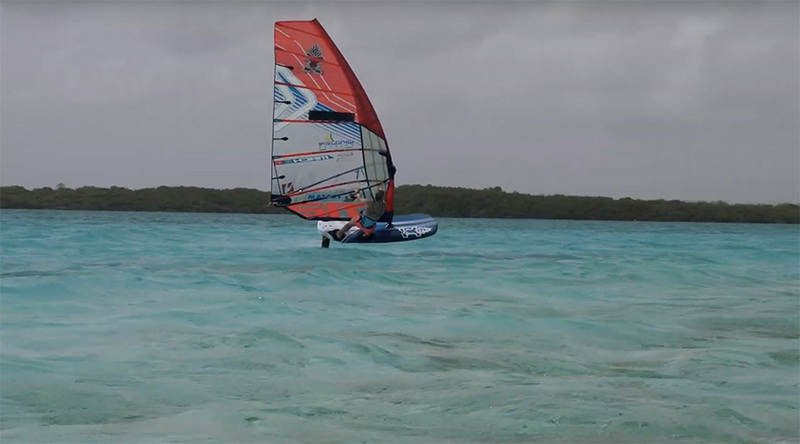 Oda Johanne Stokstad Brødholt is currently on Bonaire to train for the upcoming PWA Freestyle World Cup, starting 9th of April. On a light wind day, she went foiling with the Severne Mach2 7.8, Foil177 and Race Foil. This is a video about learning the foiling gybe. Oda tells us it was easier for her when she opened the sail more (with the backhand) in the gybe and also important to put the “new” front foot directly into the front strap. And look where you want to go!